An new Operation Rescue report shows that 2016, poised to be the biggest expansion of abortion in decades, actually ended up being the abortion industry’s biggest failure in decades. Operation Rescue has completed its annual survey of abortion facilities in America and found that after all the dust had settled on a very active year, there was no net gain in surgical abortion facilities over 2015 numbers, which remains at 517 facilities. The number of surgical abortion facilities has decreased by 27% since 2009, the year Operation Rescue first began to document the number and location of abortion facilities in the U.S. Since 1991, when there were a high of 2,176 open surgical abortion facilities, those clinics have decreased in number by 76%. In another surprise for the abortion industry, the FDA’s relaxed regulations on RU-486, the abortion pill, did not turn into the amazing business success Planned Parenthood and others had hoped for. The New York Times reported that medication abortions had risen and, “Planned Parenthood said as many as half of eligible women in its clinics requested medication-induced abortions.” The new regulations allowed women to take the pill farther into pregnancy, and at lower doses. Many expected this would cause a rise in medication abortion facilities. It did rise. By one. After a complex reorganization in services provided by Planned Parenthood facilities, Operation Rescue confirmed that there are now 214 medication abortion facilities, representing a net gain of only one facility over the past year…far lower that the net increase of 25 medication clinics recorded in 2015. Part of that reorganization included converting many of its non-abortion “referral” clinics to medication abortion facilities. In 2016, 14 referral clinics began dispensing abortion drugs. 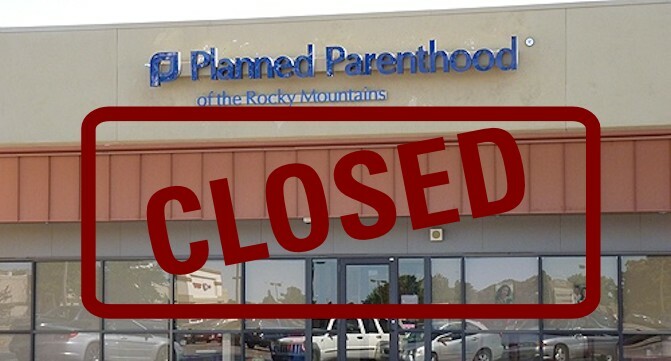 Twenty Planned Parenthood facilities that offered only non-abortion services were permanently closed. When the music stopped on Planned Parenthood’s version of musical chairs, 7% of Planned Parenthood’s non-abortion clinics had closed. California abortion facilities are price-gouging poor women for personal profit. This predatory exploitation of vulnerable pregnant women is completely reprehensible. It proves that abortion businesses care little for the women they purport to assist, and are instead taking unethical advantage of them. While Methotrexate is cheap, it has a high failure rate. A dosage can cost just a few cents for the abortion facility to purchase, compared to about $95 in costs for a dose of Mifepristone (RU 486). Yet, those that offer the outdated Methotrexate abortion charge the same price. A massively expensive public disinformation campaign launched by Planned Parenthood, willingly parroted by nearly every major media outlet, had given America the false impression that the undercover videos were fake. With the politically-motivated Houston indictments of the journalists responsible for them, Planned Parenthood was in a position to force an expansion of abortion services it had planned for years. But despite its efforts to reclaim the narrative and make abortion more accepted than ever, this backfired as well. In fact, while Planned Parenthood paraded abortion as a mark of freedom, a congressional committee, the House Select Investigative Panel for Infant Lives, continued to investigate the practices of abortion providers and their sale of fetal parts. Now it is Planned Parenthood itself that may be facing indictments in Houston after that panel’s latest referral. I don’t take lightly making a criminal referral. But, the seeming disregard for the law by these entities has been fueled by decades of utter failure by the Justice Department to enforce it. And, unless there is a renewed commitment by everyone involved against commercializing the trade in aborted fetal body parts for profit, then the problem is likely to continue. Additionally, though the pro-life movement seemed to suffer a setback with the Supreme Court ruling in Whole Women’s Health v. Hellerstedt, the report notes that only one abortion facility reopened in Texas after the decision, while 20 had been shut down. Other political hopes for the abortion industry were dashed when Donald Trump surprisingly won the presidential election, bumping off Planned Parenthood’s BFF Hillary Clinton. Trump, who has already appointed many pro-lifers to his upcoming cabinet, joins a Republican controlled legislative branch of government that is predicted to complement his executive branch. Further, he has committed to appoint conservative pro-lifers to the Supreme Court, which might very well lock up the judicial branch in favor of life-centered, constitutional values. While the abortion industry certainly includes more participants than Planned Parenthood, the nation’s biggest abortion chain is almost sure to see defeat in 2017 since it currently receives half a billion dollars in taxpayer funding each year — something a pro-life government is unlikely to tolerate. PP’s counterparts in snuffing out innocent lives are poised to have more setbacks as 2017 dawns as well. The entire Operation Rescue report is available here.